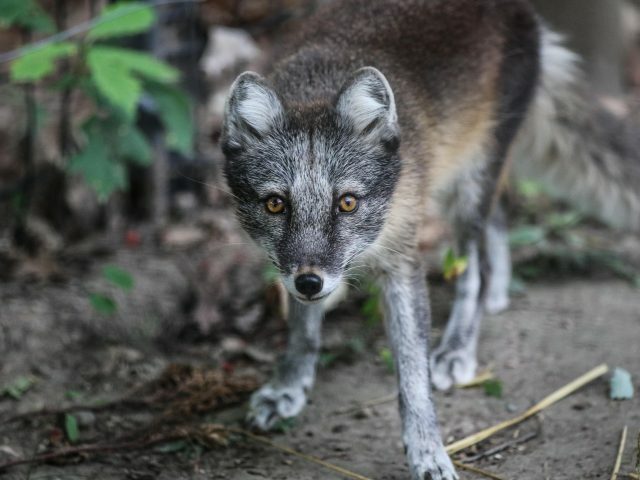 The Arctic fox is dark gray to bluish brown in the summer, but during the winter its fur is bright white. 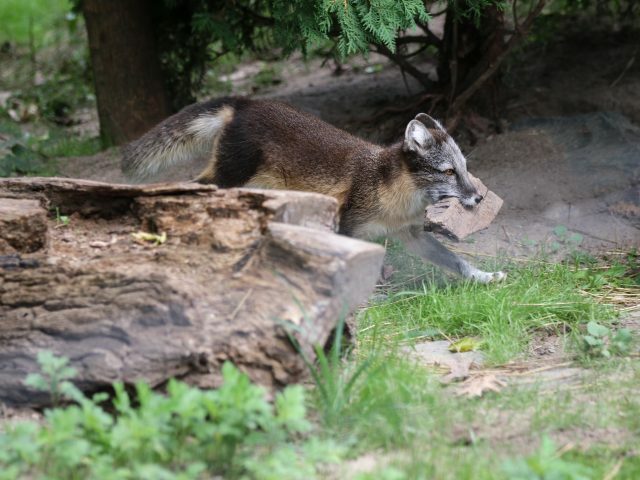 It has a long bushy tail, a short nose, and small curled back ears. 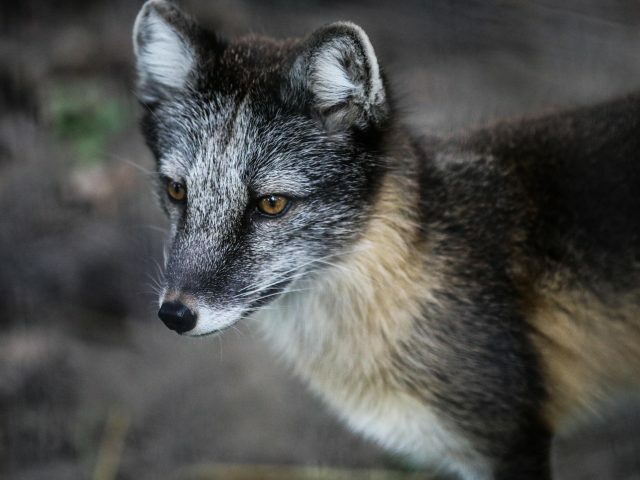 Each of its features, including the stubby legs and thick fur, help the Arctic fox survive harsh temperatures. 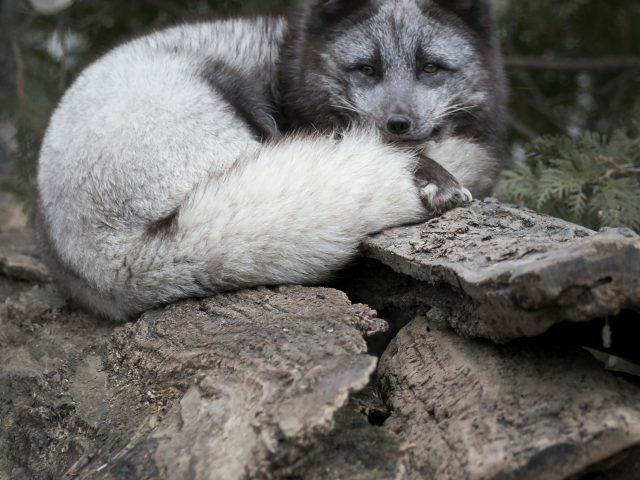 The Arctic fox hunts in small bands (no more than 3) and they do not hibernate. 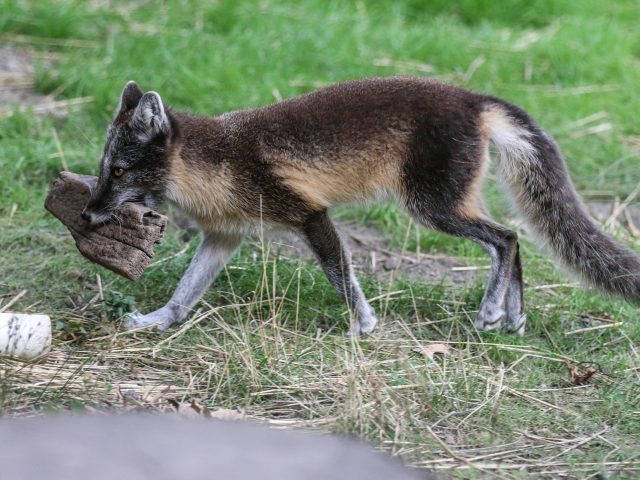 In order to store food for the winter, they bury leftovers or hide them under stones. 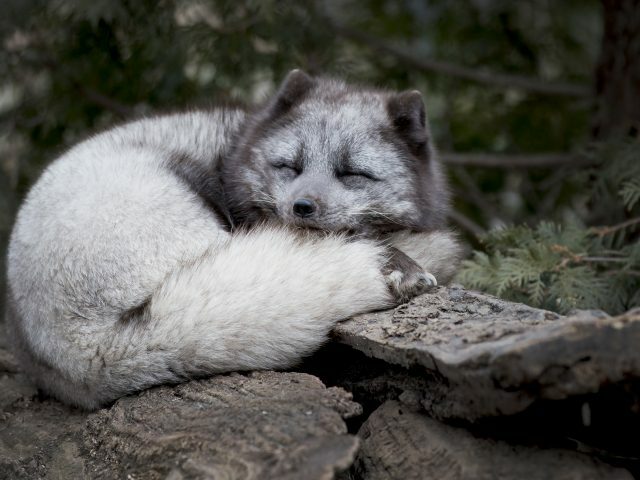 To find their hidden food stashes, the Arctic fox relies on its well developed sense of smell. Somewhat unwary, they have been known to enter camps in search of food or just out of curiosity. They also take advantage of polar bears by following them and cleaning up after they feed on a kill. 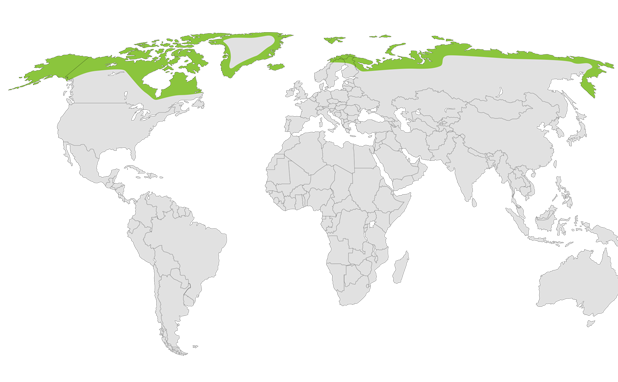 They have also been found within 300 miles of the North Pole, and have withstood temperatures of -100F! 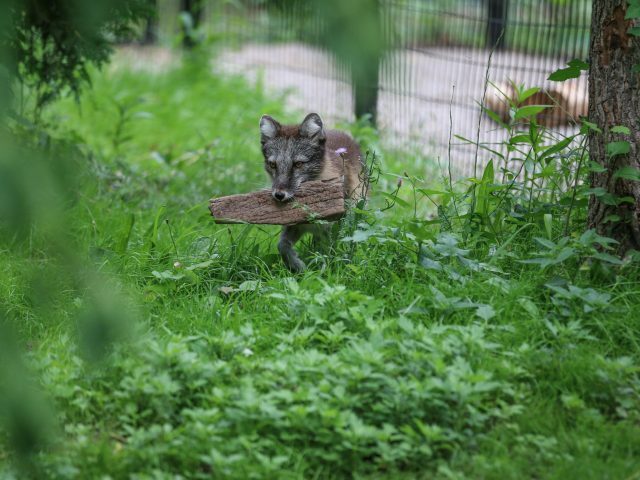 We have two Arctic fox at the zoo. The male is a rescue from Detroit. The female came to us from the Great Bend Zoo in Great Bend, Kansas. 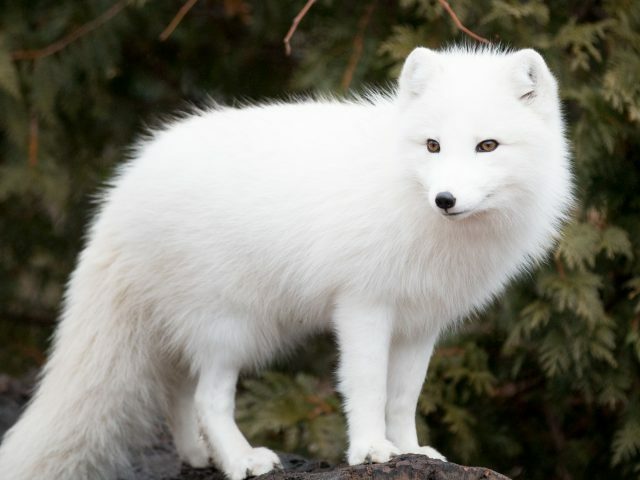 The size of the Arctic fox’s Head and body ranges from 18 to 26.75 in (46 to 68 cm); while the tail alone is up to 13.75 in (35 cm). The weight ranges from 6.5 to 17 lbs (3 to 8 kg). 3-7 years in the wild due to poaching, and up to 15 years in captivity. Prefers small mammals; also eats insects, seabirds, fish, seals, berries, and carrion.